761 Gramm.We'll take one ultra-light mini, preferably small and without too much on the side. Those who are satisfied with basic notebook features but are still looking for striking exterior are right on target with the 11.1 inches. 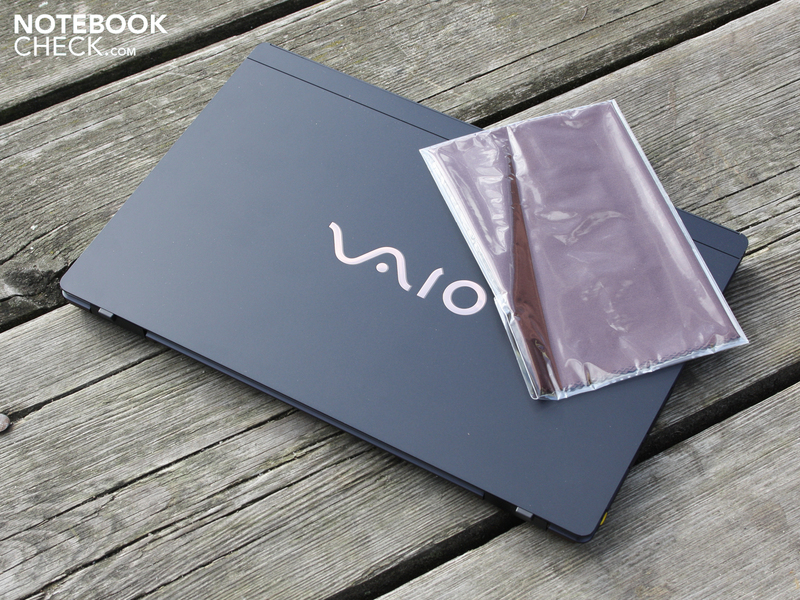 Sony already presented the VAIO X-Series, an ultra mobile subnotebook which made the hearts of design oriented and extravagant users jump for joy, back in September '09. Weighing only 761 gram (including battery), the light and wafer thin mini notebook was meant to appeal to buyers for whom aesthetics and bit of bravado are important. The producers spoke of "fans of aesthetics with premium standards". Why has this dwarf landed once again in the editorial office after only a year? Sony has upgraded the atom processor; in place of an Atom Z540 (1.86 GHz, 533 MHz FSB, 512 KB Cache), a Z550 (2.0 GHz, 533 MHz, 512 KB) is now housed in the thin case. Can the overly weak and faulty performance noted by the editorial staff back then be noticeably improved? What category does the X13D7E fall into? 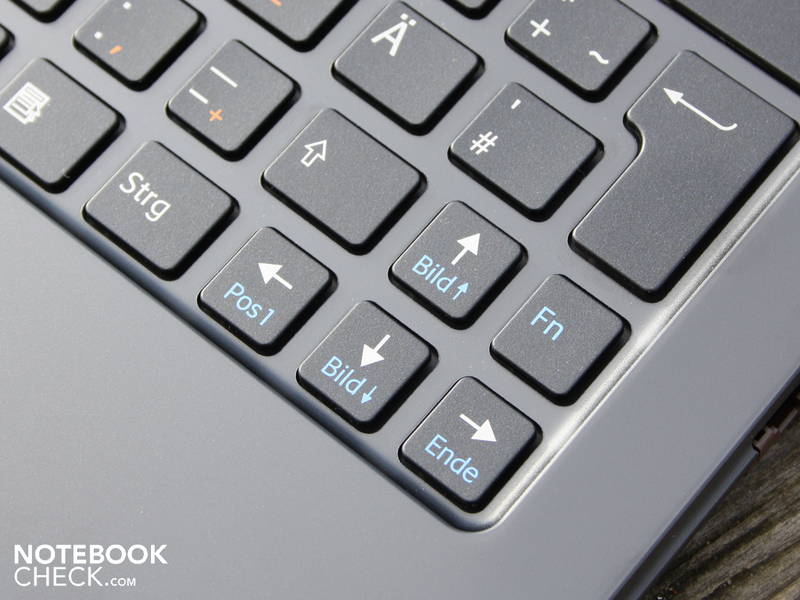 Netbook or Subnotebook? 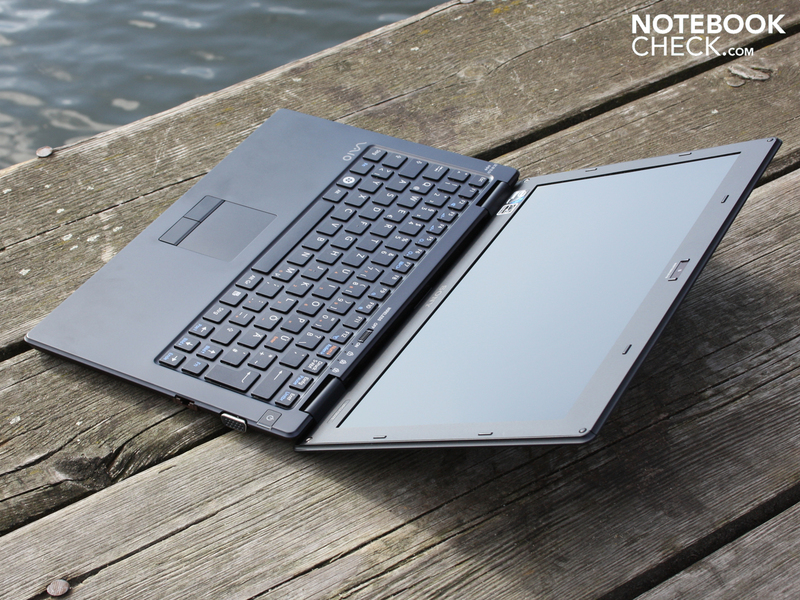 We want to find out in this review whether or not the fairly high price tag of 1.400 Euro is fair for the 11.1 incher when compared to current netbooks and subnotebooks. 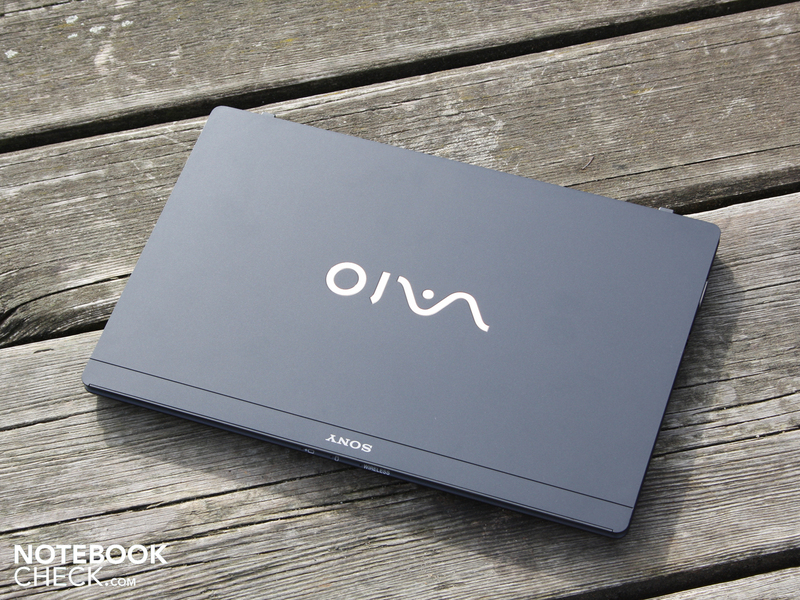 The Vaio X is as high as some of the display panels on our test notebooks are wide. The mini measures 13.9 millimeters and weighs in at only 761 grams. Also, the sharpened edges clearly indicate that we are dealing with a very light subnotebook. The sides of the lid and base unit are not just vertical, but rather come to a point towards the upper edge. Thus our finger always finds the gap when opening the lid of the 11.1 incher. The producer opted for matte surfaces. The case is made out of painted carbon fiber (work space, top surface) and plastic (base plate, battery and TFT frame). 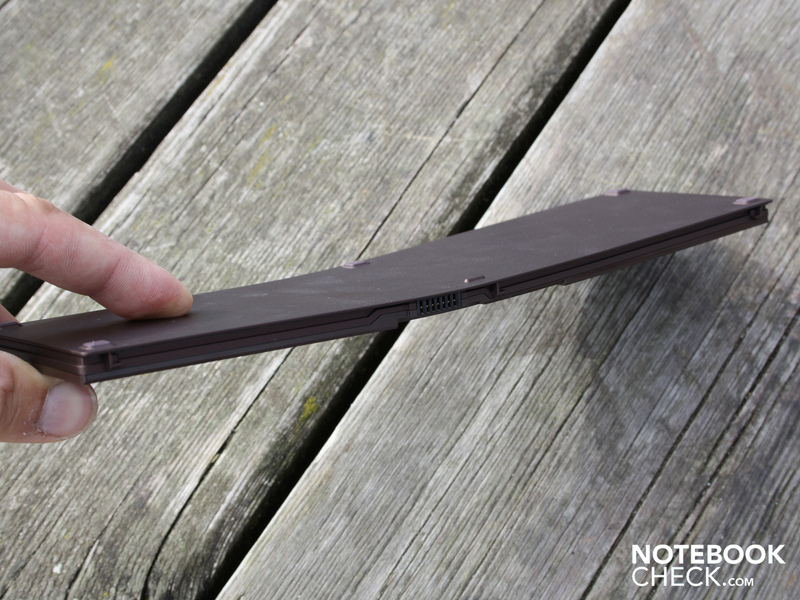 The base plate appears to be painted with a matte finish in order to provide more grip. The top sides, such as the palm rest and the lid, feel smoother, but they are still dull-feeling surfaces. Carbon fiber is considered both unbreakable and resistant to pressure whilst still being light. Carbon fiber is nevertheless also flexible. In auto racing, the material is layered in dozens of plies and arranged both length-ways and cross-ways (forming hollows) thus achieving a high strength of the material. The Viao X is made out of one such type of carbon fiber though there is little room for extra outer-layering due to its thin design. This would of course make the case thicker, making it impossible to maintain its ultra-slim form. For that reason the chassis and the lid are still very flexible. We don't want to use the word fragile as carbon fiber is, after all, not "breakable". However, there are design related weaknesses which could have been minimized in spite of the flexible material. The removable battery situated under the palm rest creates a gap lengthwise across the base unit. Because of this, the chassis loses valuable rigidity. The gap is always in motion (creaking sounds) when handling and raising the 11.1 incher. 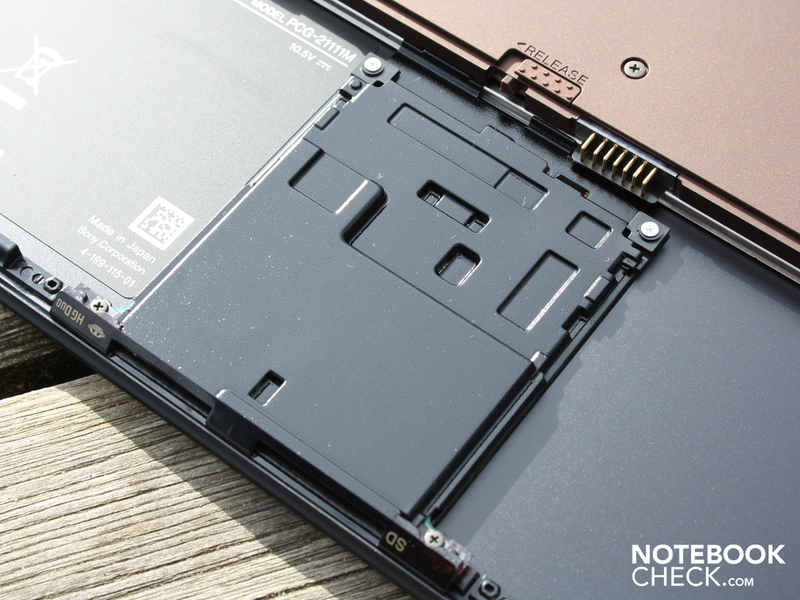 With the solid built-in battery, the chassis could have maintained quite a bit of stability. In that case, the base unit would be closed. The Vaio X doesn't have many connection ports as these would simply be too big for the minimal dimensions of its case. An Ethernet port for example is 12 millimetres in height. How is such a port supposed to fit in a 9 millimetre high base unit? Sony’s solution for this is a flip-down LAN connection, which can also double as an Ethernet port. Being only 8 millimetres high, the VGA port was lucky. The USB 2.0 also fits in the case, but only on the left hand side. However, Sony did not want to forgo its two cardreaders (SD+HG Duo) and for this reason they placed them directly under the touchpad. In order for the battery to fit underneath, the battery cell was divided and is connected via a cell connector. 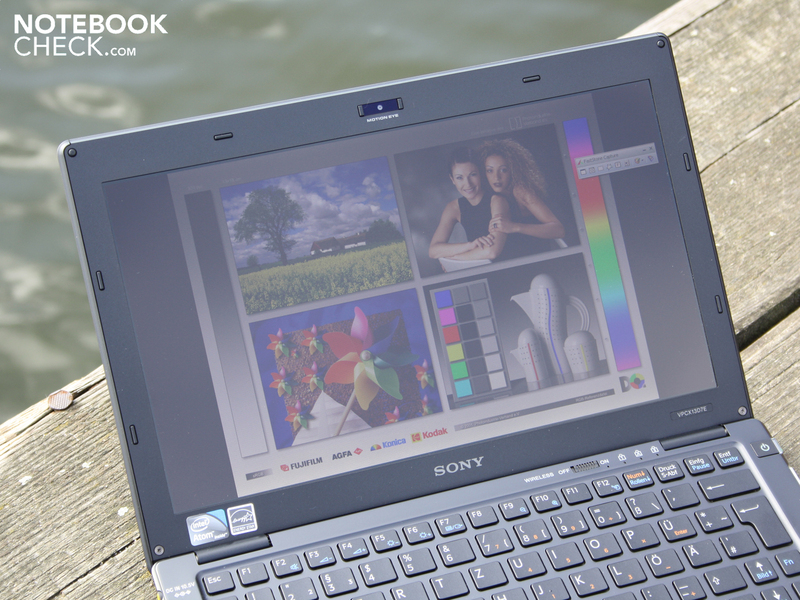 Sony’s 11.1 inch is a typical backup subnotebook for managers and therefore of course also has an integrated 3G Modul (HSUPA-Module (7,2 / 5,76 Mbit/s) for internet access when underway. The slot for the sim- card is located under the battery. The 11.1 inch form factor doesn't allow room for larger dimensions on the keyboard. The keys are built directly into the carbon fibre upper shell of the base and thus appear soundly integrated. Sony went with the isolation look, meaning that the keys are free standing and that there is more space between them. In spite of the small size of the individual keys, the input characteristics allow one to aim their fingers relatively precisely. What we disliked was the unnecessarily small size of several more important keys (Enter, right Shift, arrow keys). This might cause some difficulties, especially for men's large hands. Furthermore, the spacebar is so low that our thumbs kept hitting the edge and the palm rest. In addition to that, the entire width of the typing area buckles when typing in the lower part. 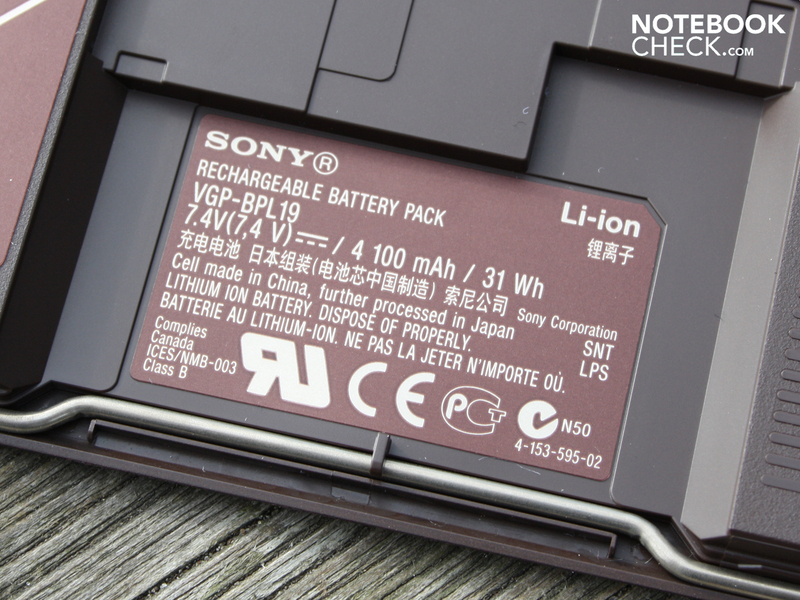 This is due to the previously-mentioned gap for the battery, which "severs" the stability of the base unit. 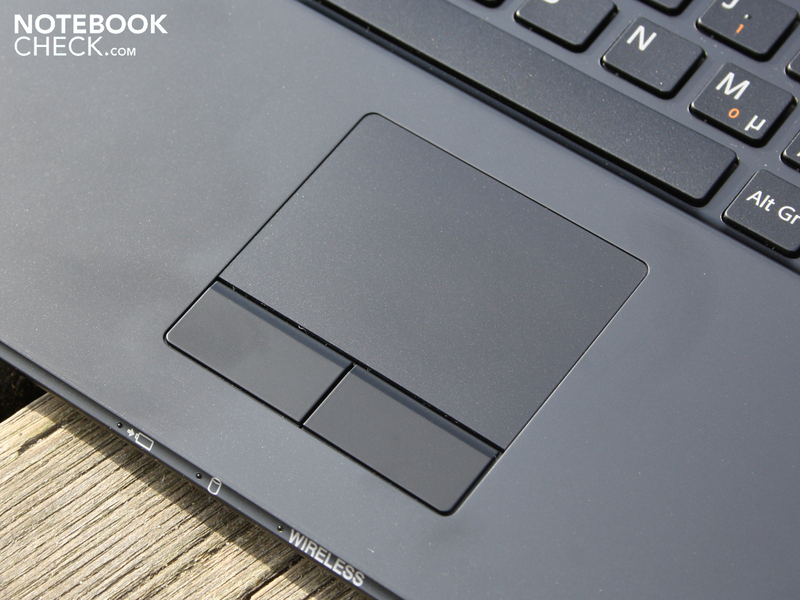 The touchpad is discretely located near the palm rest and is separated by a tiny border. 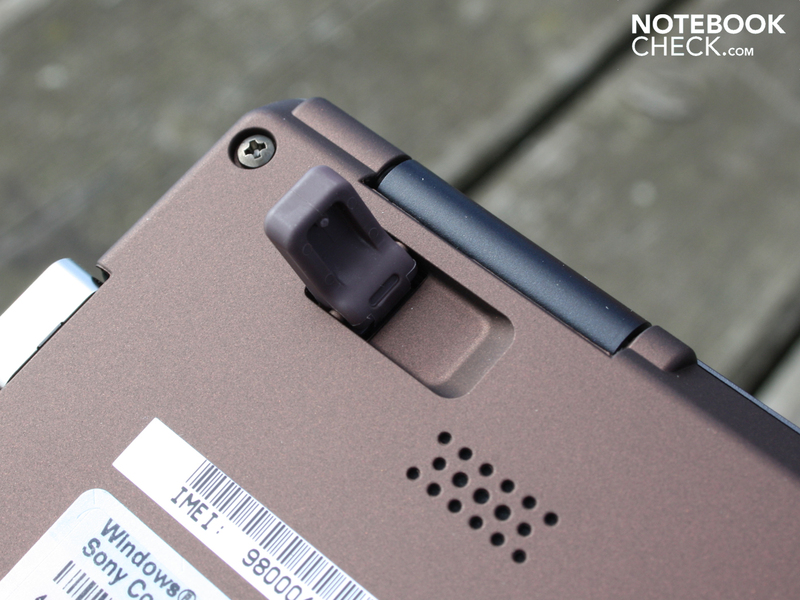 The surface of the multi-touch pad is barely distinguishable from the surrounding palm rest. The surface is a nice matte but is somewhat small. 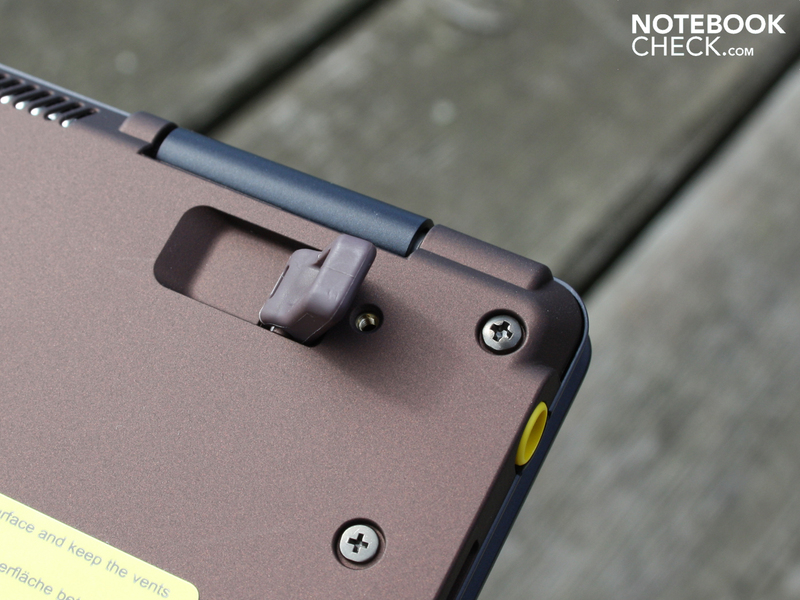 Unfortunately, the touchpad has no solid ground under its feet and buckles noticeably under only light pressure. The keys of the pad unfortunately don’t function especially well either; although they give a nice subtle click, the stroke is too limited and the force needed to press the keys too high. Sony stayed true to the mobility credo and treated its 11.1 incher to an anti-glare display with an HD-ready resolution of 1366 x 768 pixels. Websites which are optimized with 1024 pixels width-wise fit perfectly on this screen. But even modern pages optimized with 1280 pixels can be displayed without having to scroll left or right. The high resolution represents quite an advantage over consumer netbooks still using the cumbersome 1.024 x x600 pixel format. The contrast of the anti-glare panels is disappointing, however, especially as we have been spoiled by the newest machines from first-class manufacturers (VPC-F12Z, VPC-Z12). We measured 205:1 on maximum brightness. While the contrast might be fitting for its price class, it plays virtually no role in its intended use or for the Vaio X's target group. High resolution films and 3-D games don't belong to the 11.1 incher's scope of applications. The brightness of the no-readout display is impressive. We measured an average of 230 cd/m². There is also very little variances across the LED-lit panel, which ranges between 220-237 cd / m² (93 per cent luminence). The slight anti-glare surface of the 11.1 inch display is a useful companion for daytime users. What we mean by slight anti-glare is that we can still identify the reflection of our faces in the display. Weak reflections are to be expected whenever the sun is shining. Overall, the illumination is right on target and buffets sunlight fairly well. 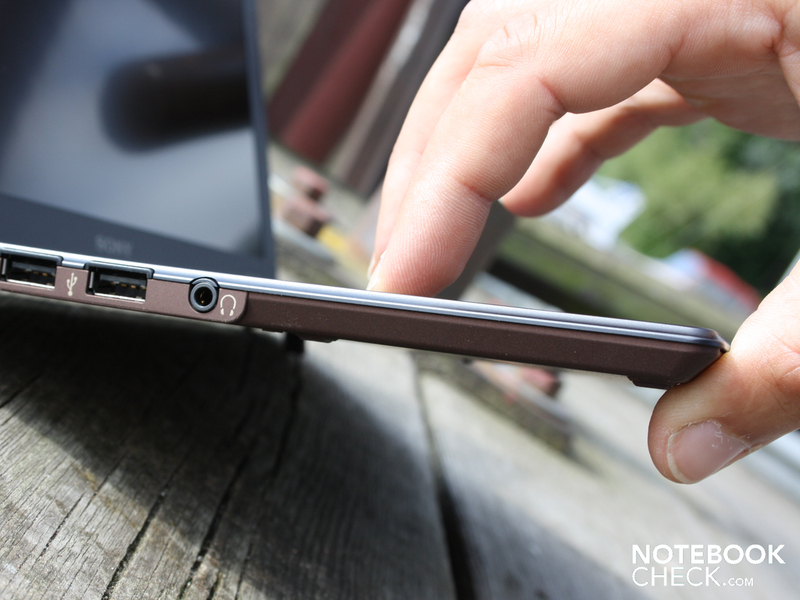 The viewing angles are impressive in terms of their high horizontal stability. One's eye can move up to 80 degrees without colors inverting so much that they are unrecognizable. Writing remains visible even with big changes in position and the TFT is the only thing which darkens slightly. 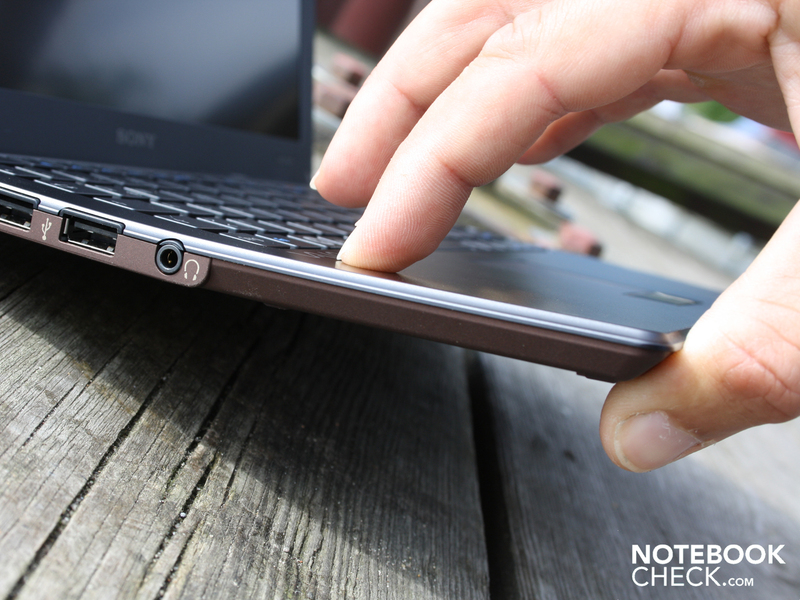 Vertically, Vaio users have no leeway. Already at a 15 degree, the picture darkens more and more and the colours begin to distort. 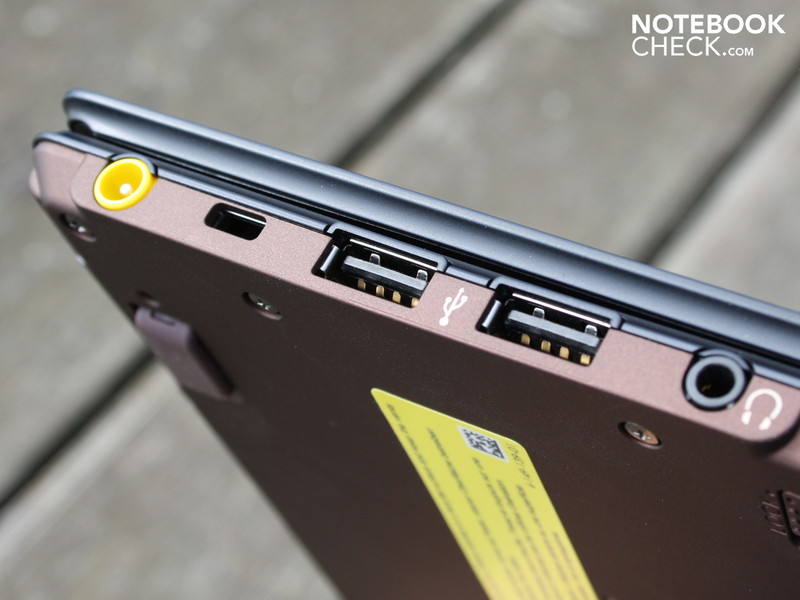 The Intel Atom Z550 (2.0 GHz) is tuned-up netbook technology. Still, only to the standards of mid 2009. Back then, the Poulsbo chipset (Intel US15W), upon which the CPU sits, was still up-to-date and there was no Pine Trail (2nd generation of netbooks starting in the beginning of 2010) to speak of. Apart from the clocking speed, nothing has changed on the previous Atom Z540 (1.86 GHz) processor. Even now, the extremely energy-saving processor can process with maximum energy consumption (TDP) of only 2.4 watts. Though current Atom CPUs with a high clocking rate (N475 6.5 watts) certainly have a significantly higher TDP, memory controllers and GMA 3150 are integrated in the chip. 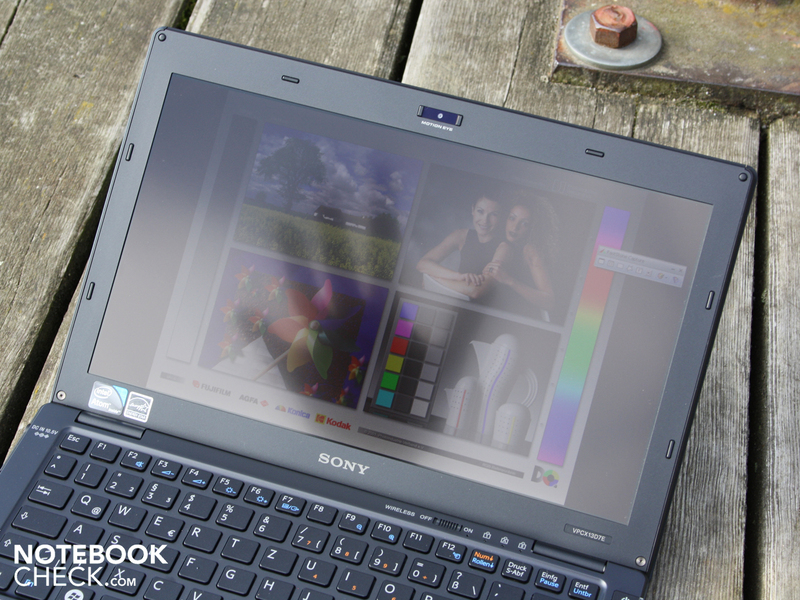 The Vaio X13 delivers image data via the Poulsbo chipset’s Intel GMA 500 . The GPU doesn’t support HD videos (hardware acceleration) as it offers no function for decoding H.264, MPEG-2, VC-1 and AVC like an Intel HD in the Core i3 and i5-CPUs does. Though the Z550 was challenged by a 720p WM9 file, the trailer ran just about smoothly (69% utilization). But playback of the 1080p trailer was always jerky (84% utilization). 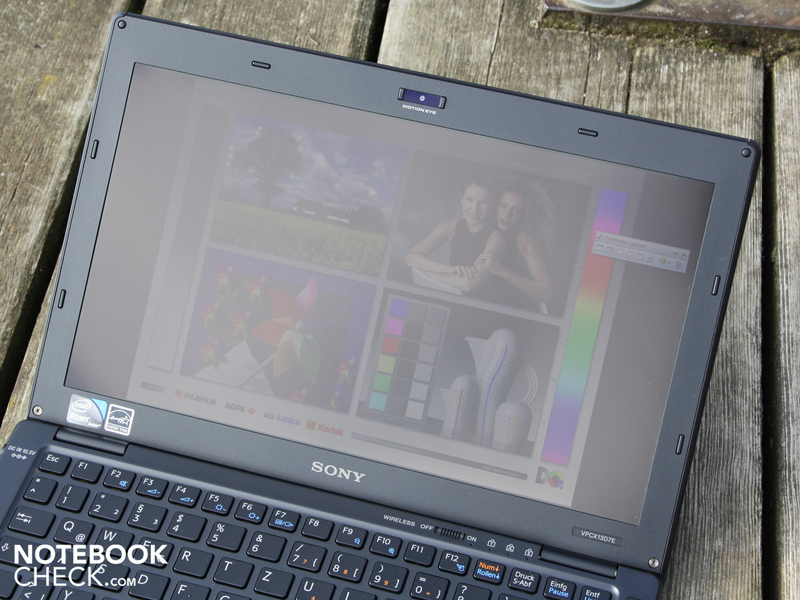 What’s the performance then of the Atom Z550 (2.0 GHz) chosen by Sony in comparison to the mainstream Atom and the current subnotebook processors? We referred to the single core benchmark Cinebench R10 32Bit for answers. The Z550 garnered 657 points and placed above the N470 (1.83 GHz, 610 points, -7%). The much-used N450er-s achieve around 590 points (-11%). 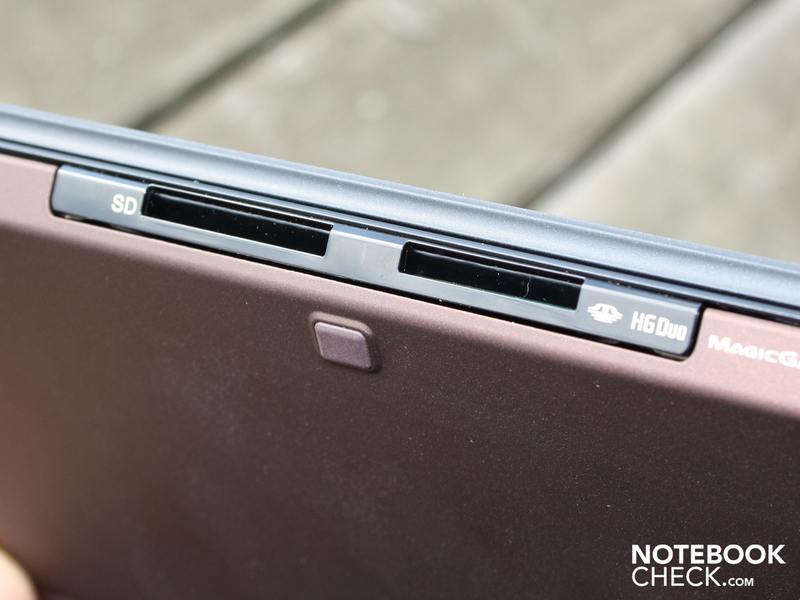 Thus, there isn't much of a difference between it and a typical N450 netbook. A CULV processor like the SU7300 (example, current at the start of 2009) would have been more in line with the price of the Vaio X13. But the crux is in a significantly higher TDP range of the ultra low voltage processors. A Core 2 Duo SU7300 (2 cores) has a TDP of 10 watts. The heat development would overextend the tiny cooler/cooling bodies and customers would complain of a hot subnotebook. The manufacturer had no other option other than to rely on Poulsbo and Atom Z when it developing the machine back at the start of 2009. The above average netbook performance of the processor and the 2.048 MB DDR2 equipped chipset add up to a low PCMark Vantage Score of 1.515 points. 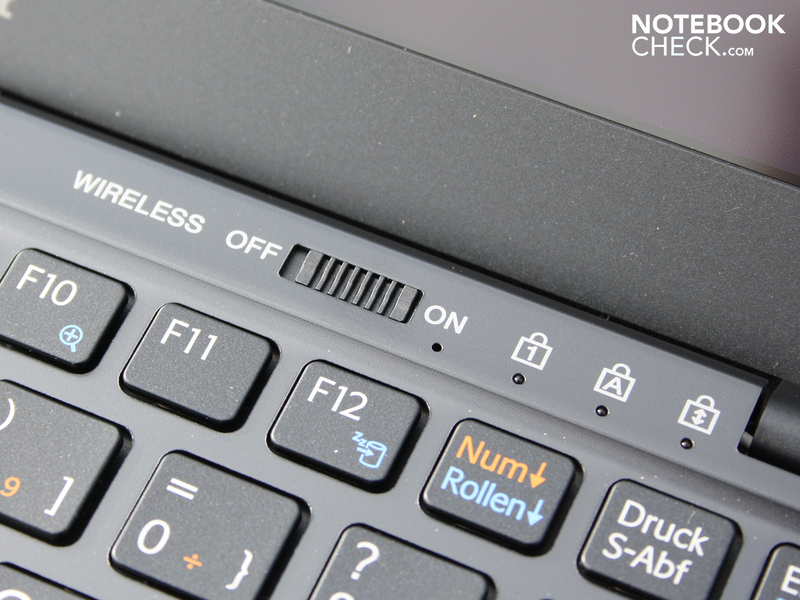 In comparison to current netbooks, the performance has risen by 14 percent. N450 Minis are at around 1.330 points. 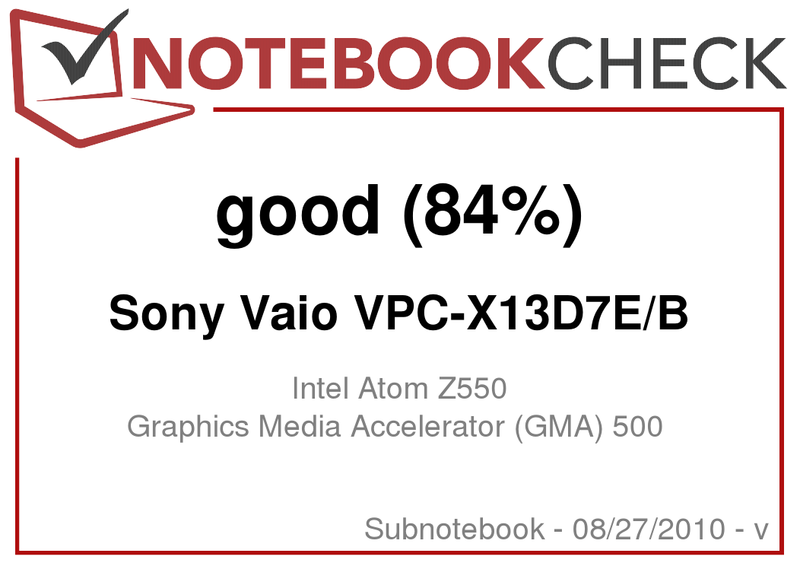 But the Vaio must concede defeat to the AMD „SubNetbook“ Acer Aspire One 521 with Athlon K125, as it scored 1.686 points (+11%) and costs only 325 Euro. The reason for the efficient speed of the system is not only the clocking but also the high speed with which is accesses memory. The Samsung flash memory achieved 11.147 points in the HDD score. The fast read/write values help improve the other sub-scores of the PCMark Vantage. The productivity score is at 1.892 points. 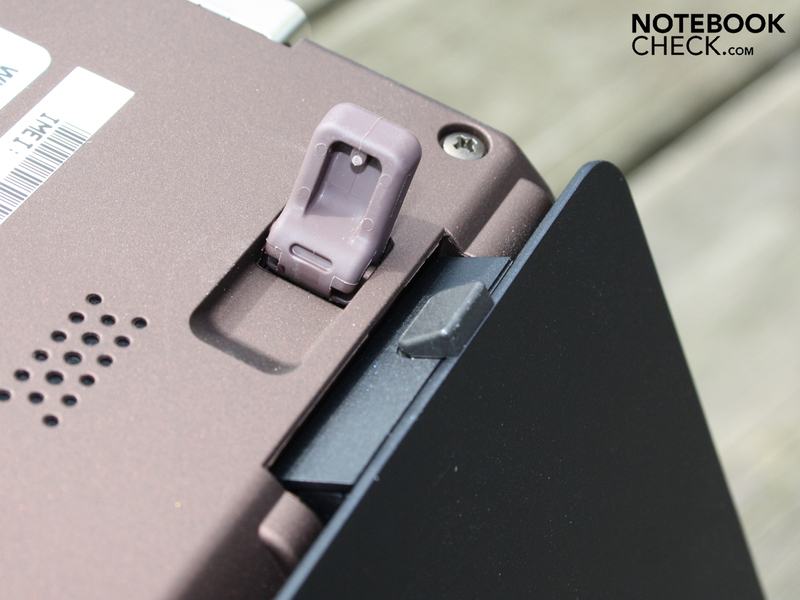 Atom N450 netbooks with 5,400 RPM harddrives are, for example, clearly beaten with their 1.025 points (Samsung NP-N230, -85%). 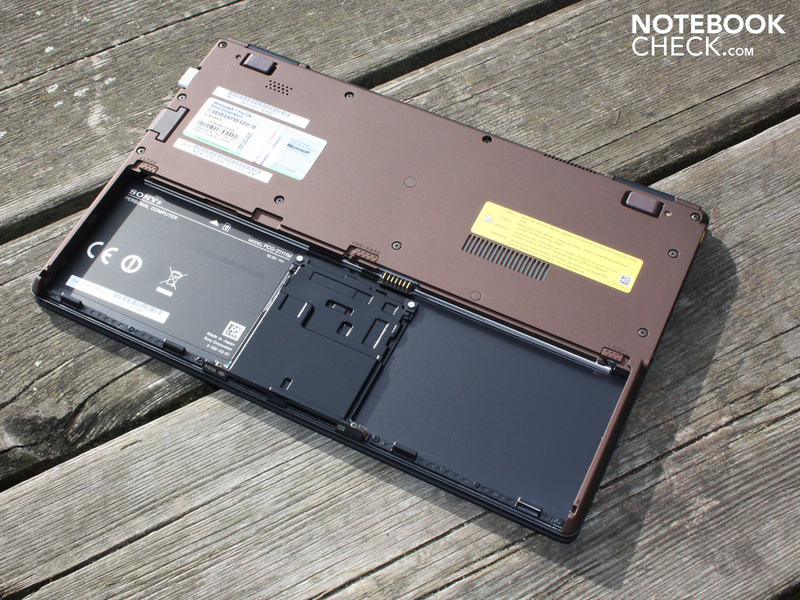 When it comes to performance, the Vaio X13 is by no means on level with current subnotebooks like the Acer Aspire 1830T-52U4G32n. The 1830T with an i5-520UM CPU achieved its 3.950 points in the PCMark Vantage even without a fast SSD memory. 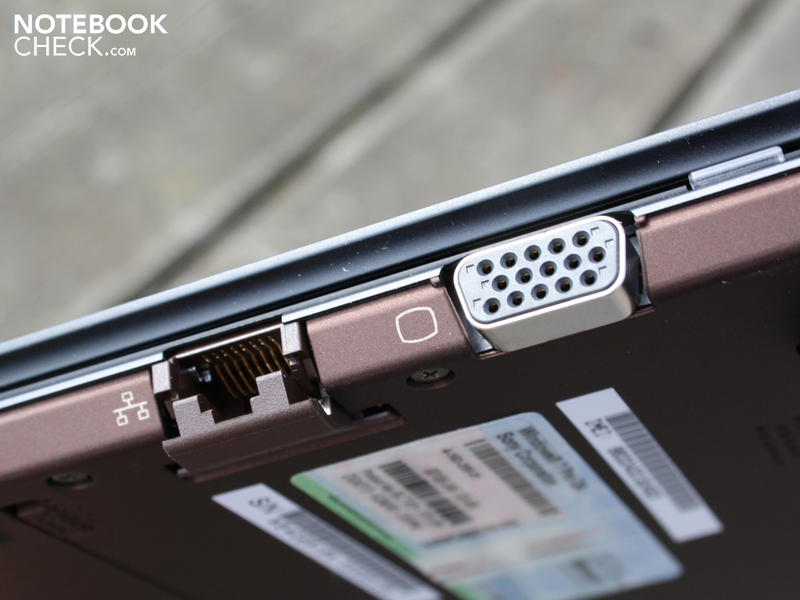 Sony didn't build a harddrive into the Vaio X13 but rather a SSD memory with a gross capacity of 128 GB. The manufacturer chose a Samsung ATA drive, which goes by the name MMCRE28GFDXP-MVB. 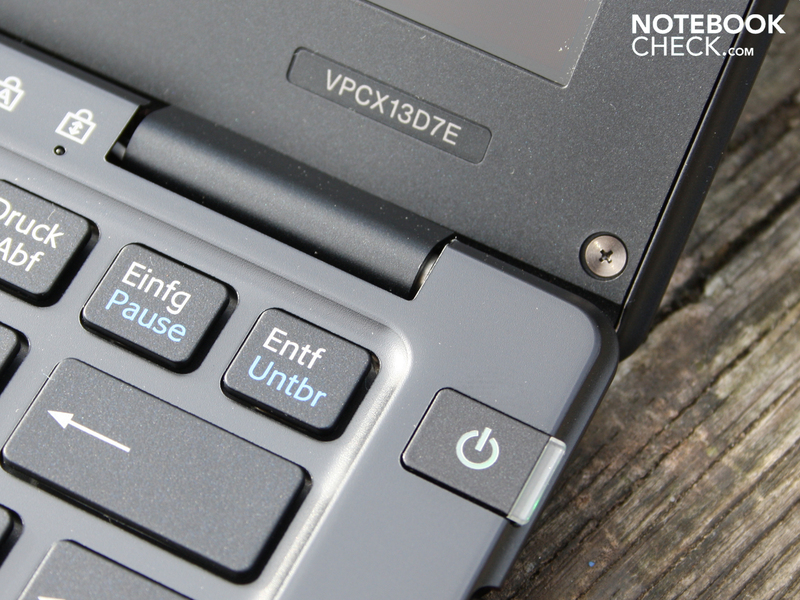 The first machine of Vaio X series was equipped with a MMCRE28GFMXP-MVB. SSD memory is known for its fast read access. The HDTune shows only a reader throughput of 66.9 MByte/s, which isn't quicker than the typical 2.5 inch notebook harddrives. So where does the extremely high HDD Score of 11.147 points in the PCMark Vantage come from? While rotating HDDs vary significantly in terms of their reading speed depending on the inner or outer positioning of the rear/write elements (ex. Min 30, Max 72, Avg. 61 MB/s), the SDD is almost always between 63.7 and 68.4 MB/s. Therefore, the SDD has a better access rate than typical notebook HDDs. 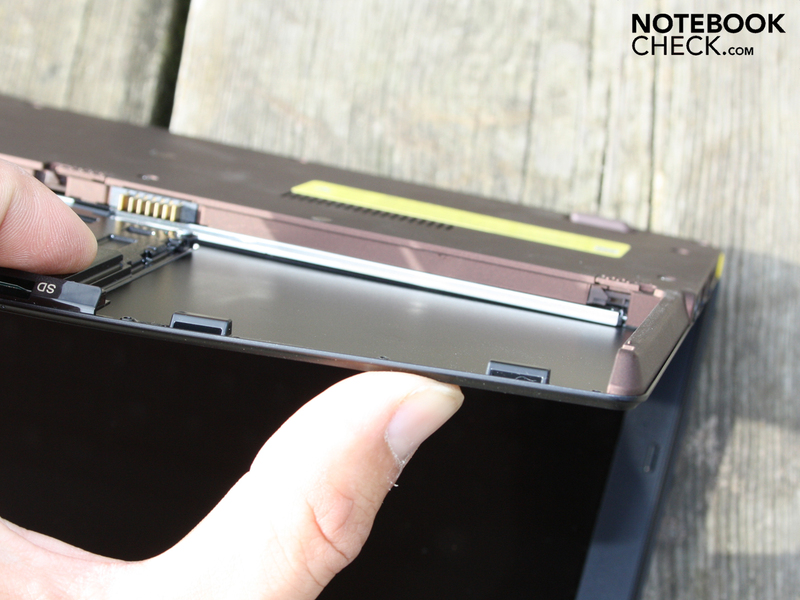 The screens show the comparison of the X13 Crystal Disk Mark with a normal 5400 RPM HDD and the Samsung SSD in the Vaio X13. Most noteable are the faster read throughputs with small files (512K, 4k). Sony’s Vaio X is equipped with an active fan. The case is not cooled passively. Such a radiator needs space and carries with it a relatively heavy weight penalty due to its size. Even if only one TDP processor has to be cooled with maximum of 2.4 watts must be used, the maker went with the conventional cooling method. The cooling system has a variety of speeds and never shuts itself off in operation mode. A low humming can always be heard, even when at idle (30.4 bis 31.3 dB(A)). When the Atom Z550 is under heavy and constant load, the cooling system makes itself known with up to 34.4 dB(A). If one listens more closely, the sound seems similar to that of a small racing engine. It doesn’t tend to be too annoying especially as it is runs constantly and only shows up in cases of substantial heavy load (CPU+GPU). The surface temperatures of the flat case is relatively low when not under load (idle), but get pretty high under stress, with up to 46 degrees. Under stress means an hour’s stress test with Prime95 (CPU) and a repeated 3DMark06 (3DMark06 doesn’t run). Since only the battery is under the palm rest and not the main board, this area always stays pleasantly cool at around 27 degrees. The warmest area on the base plate can heat up to a noticeable 40 to 46 degrees. 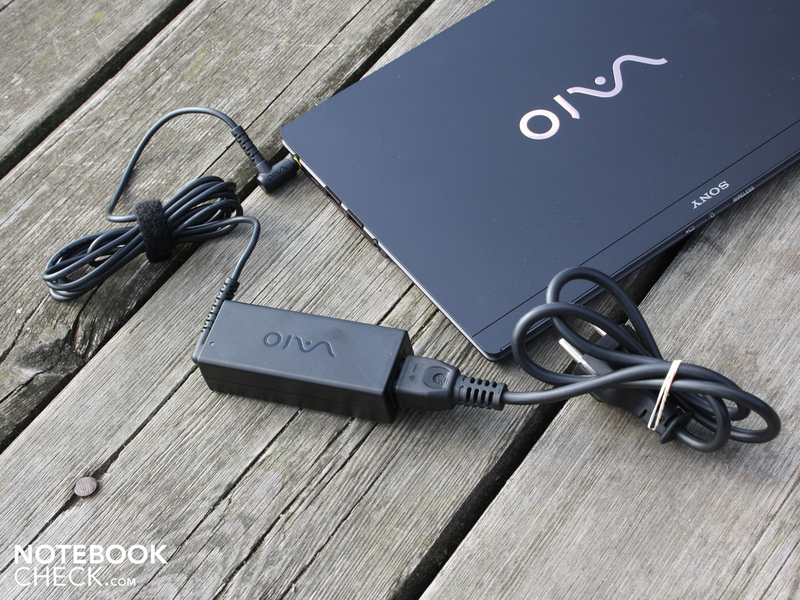 To listen to music on the Vaio X, you need to use headphones. The built-in solo loudspeaker located underneath bounces sound of the table and is totally lacking in low and mid range tones. For connecting headphones or external speakers, there is the 3.5-inch connection port on the left. There is no microphone input. Thanks to the extremely low current consumption of the processor chipset combination (5.8 Watt when idle), one can expect runtimes of 5-8 hours, even with the 4-cell standard battery (4100 mAh). The low TDP of the Atom processor (2.4 watts) provides for such low energy consumption. The standard battery, also used in our tester, is the VGP-BPL19. It is a four-cell lithium ion battery with 4100 mAh. Sony claims runtimes of eight hours. We say 4:01 to 7:47 hours. We got 7:47 hours (467 minutes) in the Reader's Test of the BatteryEater. But this runtime is hardly realistic, as WLAN and Bluetooth are deactivated, the processor is at idle and the SSD memory hardly has anything to write. Realistic runtimes in operation with WLAN or the integreated 3G module (UMTS) are around 4:47 hours (287 minutes) or 4:03 hours (243 minutes). As a DVD film was not possible without an optical drive, we ran a WMV from the harddrive in loop (100 cd/m² Luminanz). That resulted in a quite useful 4:01 hours (241 minutes). The current consumption of the 11.1 incher is very low respective of the weak components and the SSD memory and is on level with a netbook. 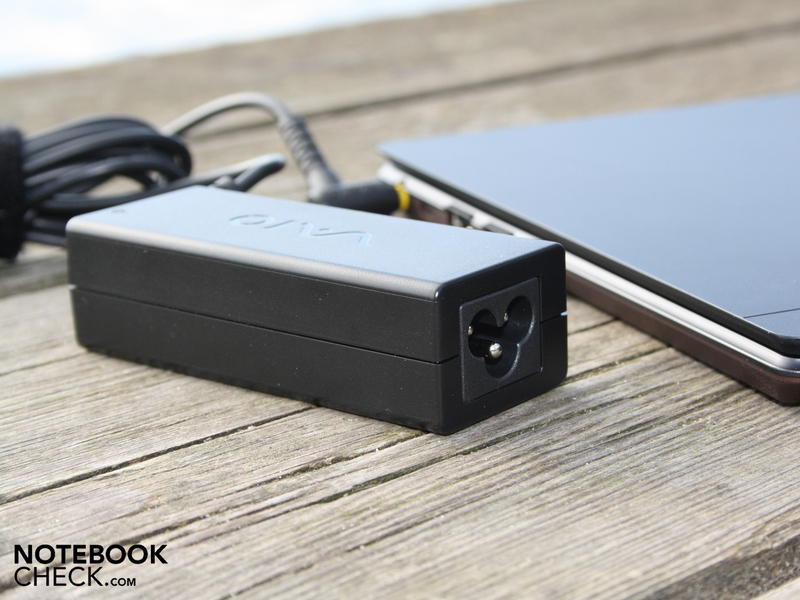 The Vaio X13 needed 5.8 watts at idle, when the maximum energy saving setting were active. Under heavy load, the effective power rises to 14.5 watts. In this state, all radio modules are active and the luminance set on maximum. 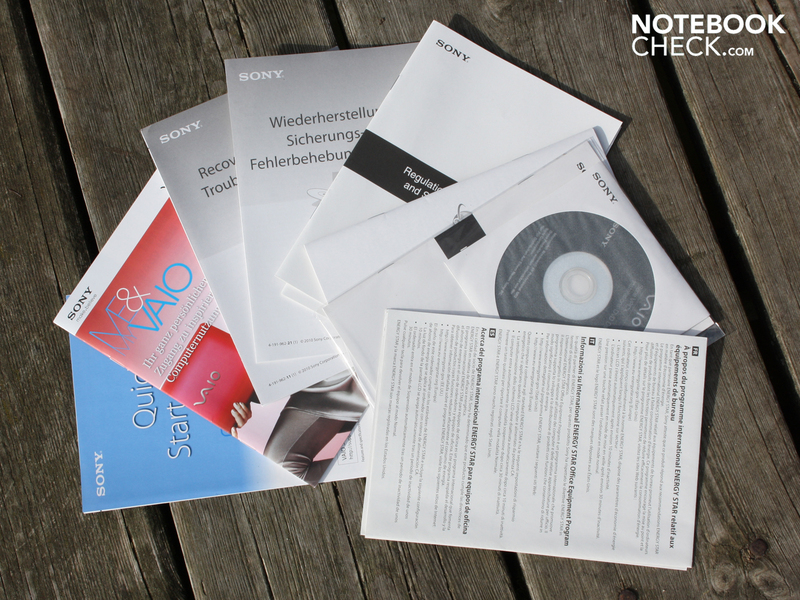 Sony proves that it is even possible to get something going with an outdated is Atom Z550. With a fast 128 GB SSD memory from Samsung, we consider the processing speed to be acceptable for internet surfing, checking emails or typing in Word. In terms of application performance, the VPC-X13D7E / B is 14 percent (PCMark Vantage) faster than netbooks with Intel Atom N450. Particularly noticeable in day-to-day work is how fast the read/write access is. The HD-ready, anti-glare display panel (1366 x 768) made a good impression as well. Work is enjoyable thanks to the good lumination and and generous horizontal viewing angles. 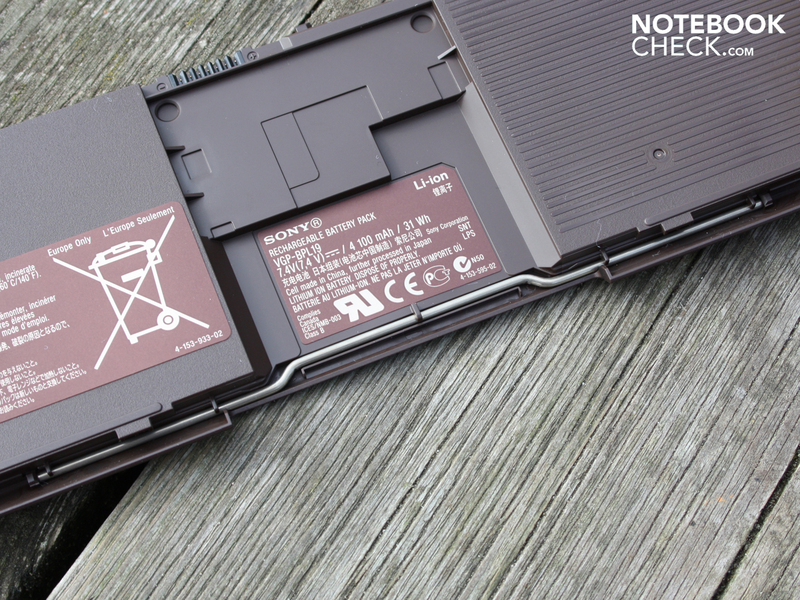 The battery life of 4:00 to 5:00 hours (realistic) isn't top rate for a subnotebook, but considering its extremely low weight, it provides a very good basis for an ultra-portable mini notebook. Together with the high quality feel of the carbon fiber case material, it creates a striking impression. However, there is a weakness in terms of its construction: The carbon shell of the 11.1 incher is extremely hard but not rigid. This might not be a problem in and of itself, but it must be added: The removable battery pack which reduces the stability of the chassis. 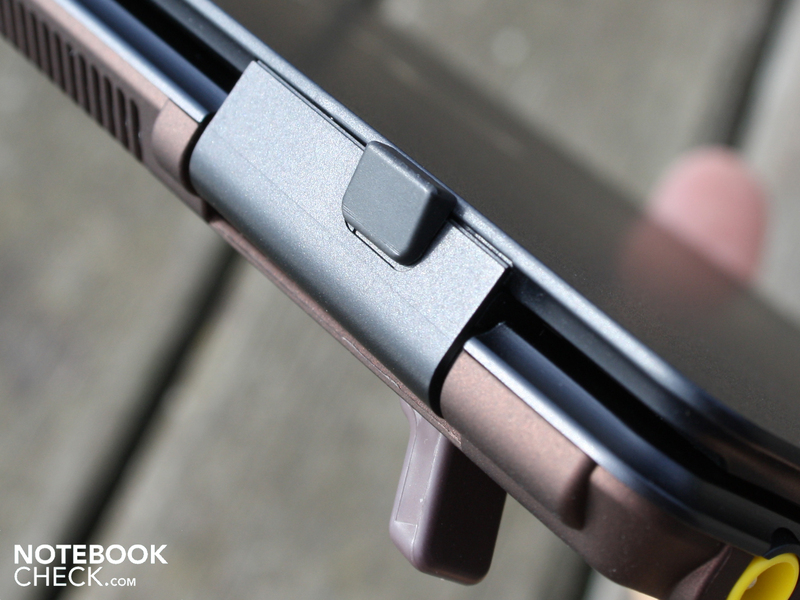 With a closed base plate and a secured, built-in battery, Sony could have minimized this weak point. This takes away from any impression of quality significantly. 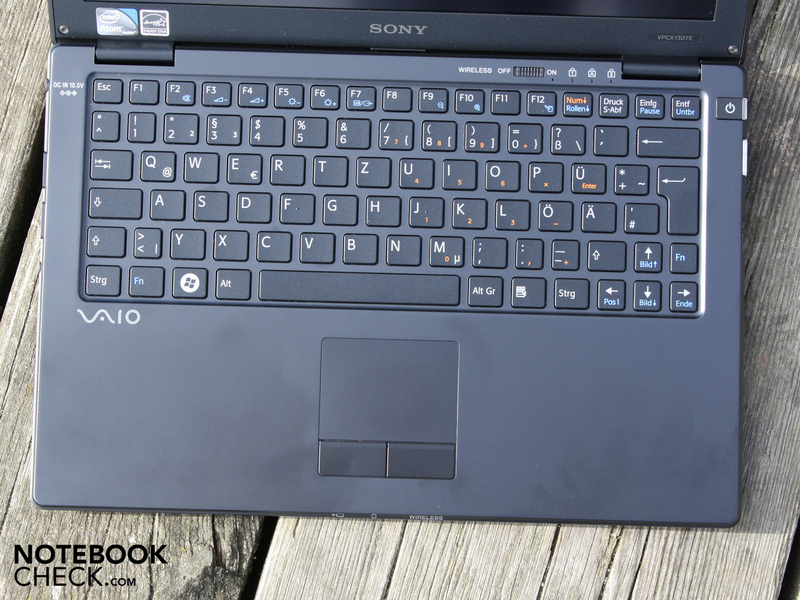 The Vaio VPC-X13D7E /B doesn't come with a budget price tag for a netbook. It is therefore suitable for people looking for a prestigious object. 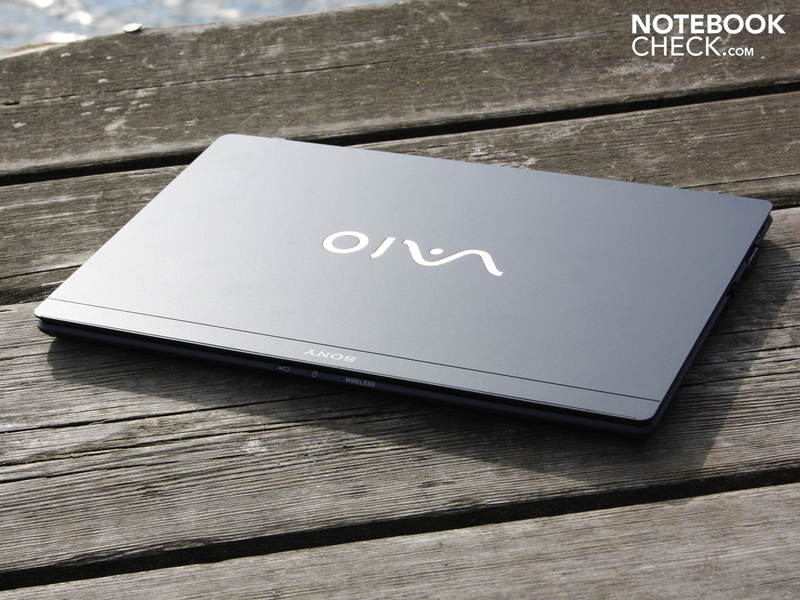 In terms of lightness and exclusivity, the Vaio X is miles ahead of the Eee PC, MSI Winds and Aspire Ones. Unfortunately, that’s not the case in the stability department. The untralight Vaio X was first shown at the IFA 2009. So small, but still two card readers: SG and HG Duo. The obvious connections are limited to USB 2.0, Kensington, VGA, RJ45 and a port for headphones. takes up half of the case volume. 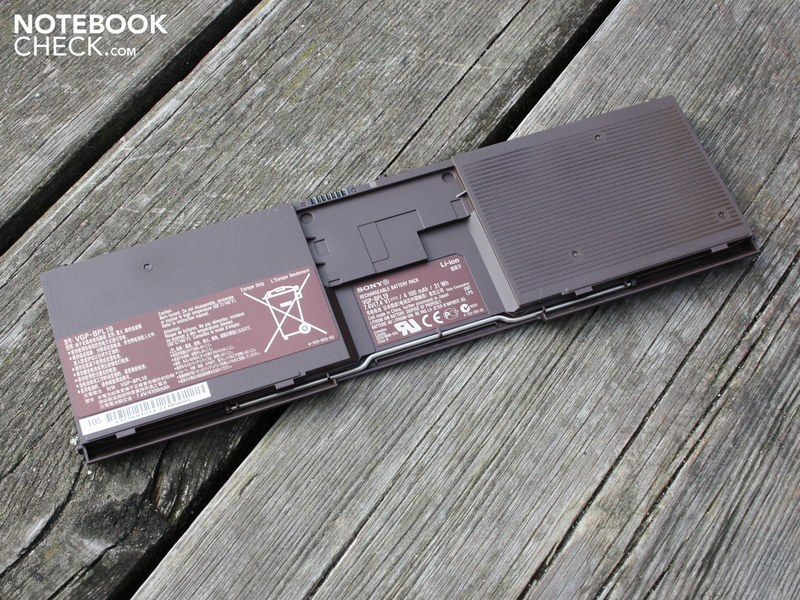 In order that the touchpad got a spot, the battery was divided in two. so that is doesn't buckle too much. But one has to accept some flex on the light chassis. That also goes for the rest of the case. 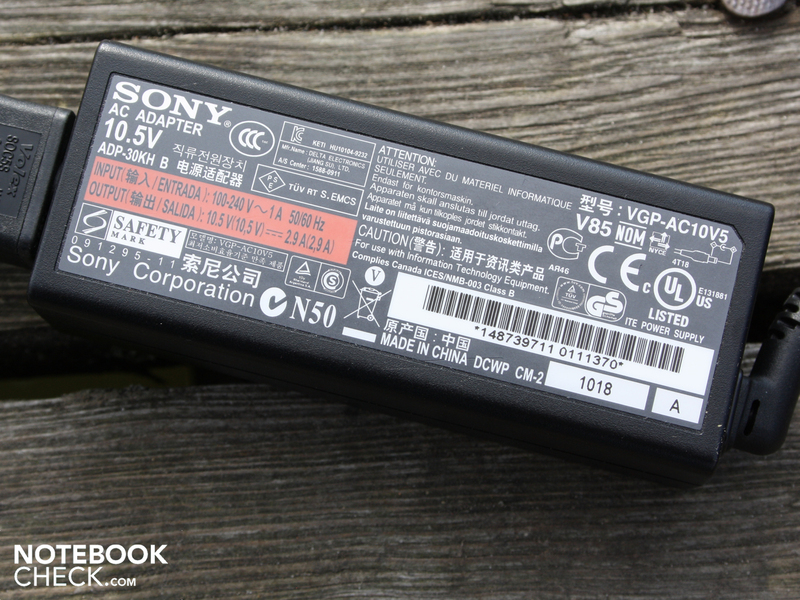 The power pack, which weighs a mere 146 g. With it, the battery can even be charged under max. load (14.5 watts). Rubber stops prevent the bottom edge of the lid from scraping on the desk and scratching it. which prop up the rear a bit. The first version had an Intel Atom Z540 with 1.86 GHz. With the X13D7E/B model, there is a CPU upgrade of 2.00 GHz on the Atom Z550. Together with its power pack, the featherweight 11.1 incher tips the scales at only 907 g.
The surfaces of the case are matte overall (radio module switch). 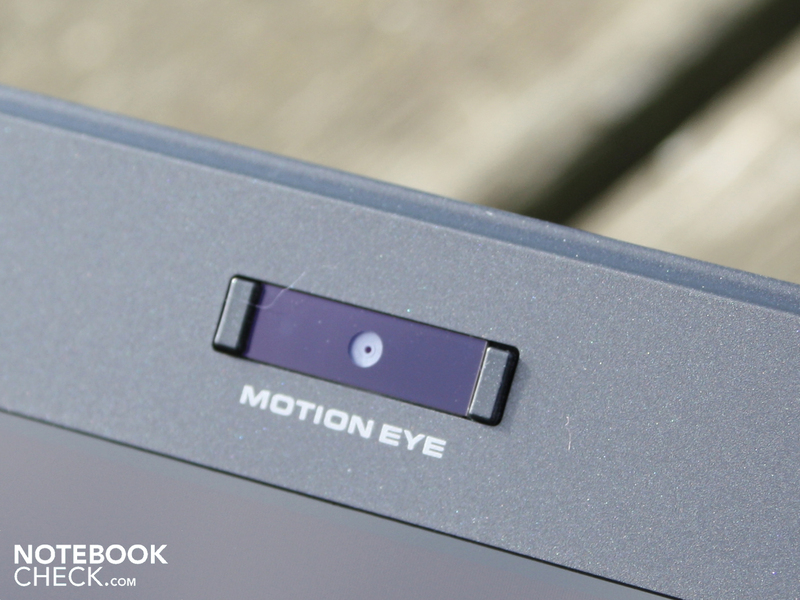 It does without optical gimmicks and special buttons. 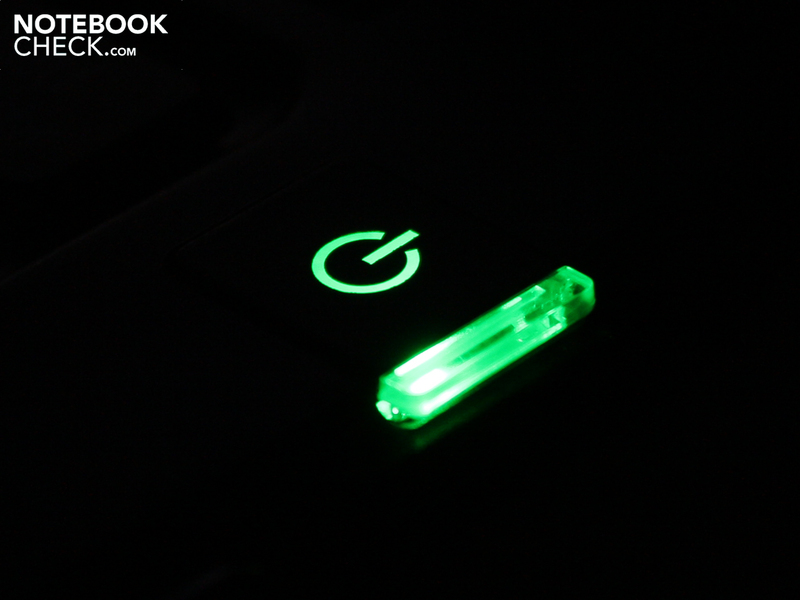 The only visual gimmick is the green-lit Power-On button. The rest of the mini is completely subtle and subdued (webcam). 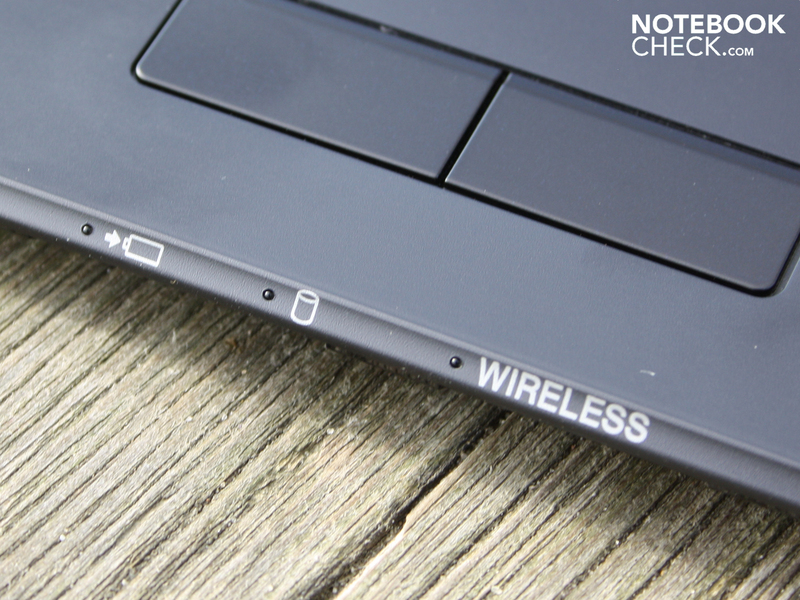 Even the status-LEDs for battery charging, harddrive and radio seem extremely reserved. 1.500 Euro, but still no recovery medium. 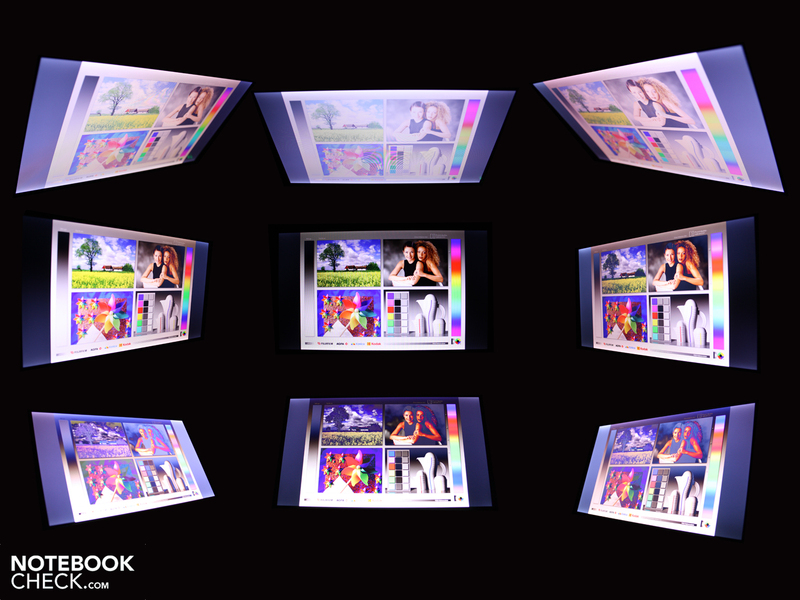 Reproduction of DVDs must be done via external DVD burners. An extreme lightweight with a great display. Even with the carbon fiber construction, one could have put together a more stable case. The "breaking point" on the base plate doesn't fit in well with the high-quality concept of this mini. The speed when processing is not as wimpy as expected. But keep an eye out when running applications simultaneously.